A free festival of open-air movie screenings in a magical park in western Paris. This year’s theme is ‘celebration’. 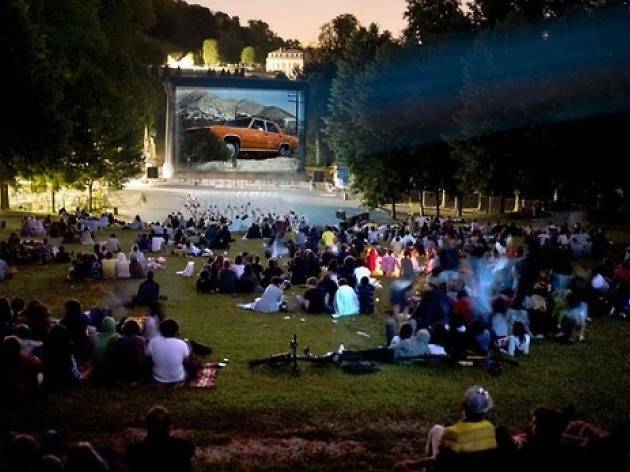 A summer favourite, the free open-air movie screenings of the Films Sous les Étoiles festival (‘Films Under the Stars’) are set in the magical suburban park of Domaine de Saint-Cloud in western Paris. Two giant screens are set up on the grass, for three consecutive nights of simultaneous screenings on June 25-27 from 10.15pm. The theme of this year’s edition, the 13th, is ‘celebration’ – with Paolo Sorrentino’s ‘La Grande Bellezza’, Blake Edwards’ ‘The Party’, Sofia Coppola’s ‘The Bling Ring’, Fellini’s ‘Casanova’ and more. Don’t forget your picnic!